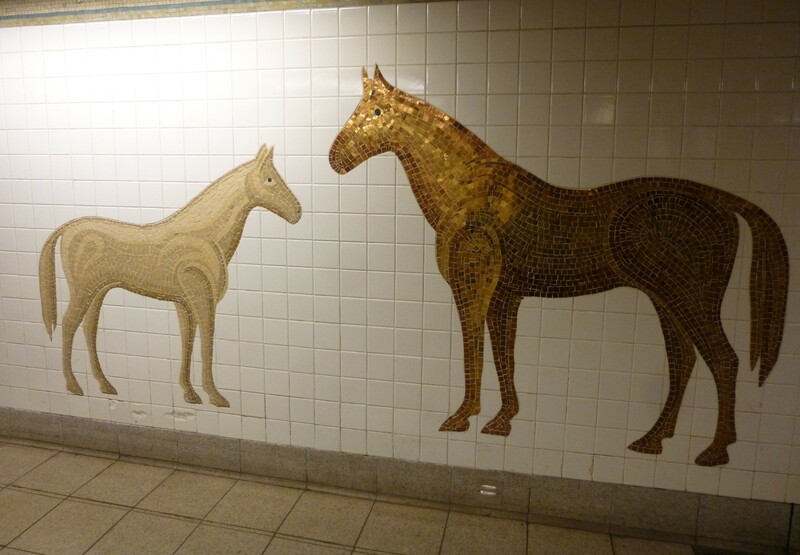 This tile mosaic of two horses — a mother horse and her offspring, perhaps — graces the wall near the exit of the N and R Trains at 59th Street (Central Park South) and Fifth Avenue. ← FAO Schwartz Easter Peeps Displays! I downloaded the MTA art app last week, totally worth it!